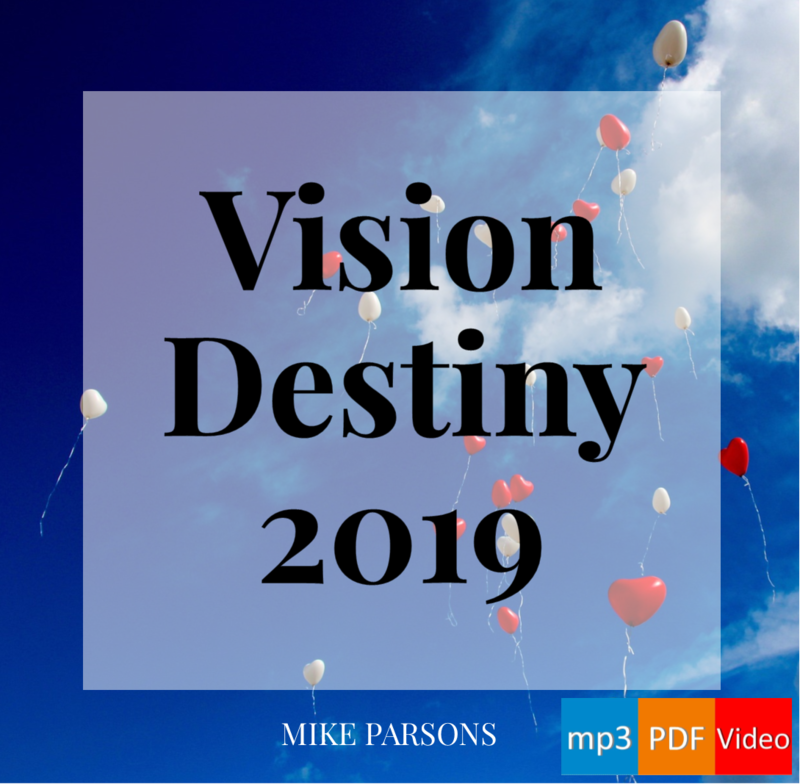 This year’s FREE Vision Destiny video series by Mike Parsons is now available. Twelve messages by Mike Parsons from January 2019. A review of 2018 and what to expect in 2019. Free to watch on this blog: this YouTube video of the first session of Expanding our Reality, our final Sons Arise! event of 2018. You can purchase all 12 sessions, including downloadable HD mp4 video, mp3 audio and PDF slides, by clicking here. The cost of the full intensive is £72 (inc VAT). The instrumental music featured in this series is by Samuel Lane (SML Music) and can be streamed from SoundCloud. His 3-track album Renewing The Mind is available to purchase on iTunes and other digital music platforms. Recordings from this event are now available. ‘On Earth as in Heaven‘ is our next Sons Arise! conference here in Barnstaple, UK. Join us from September 20-22 2018 and you’ll be able to go away with a heavenly blueprint and the tools to outwork it! Tickets £65 GBP available via Eventbrite. A live stream will also be available – details on our Sons Arise! webpage. Will you respond to the Father’s call for men and women to be revealed as His mature sons on the earth? Then join us for our second Sons Arise! conference of 2018, Sons Invested and Enthroned, either in person or via the livestream. Identify the spheres of influence God has appointed to you and the authority you have. Always available to us to tutor us and train us into sonship. Taking up your position of responsibility in the kingdom. Explore the court structure of heaven and begin to operate there. How and why you are to administer existing laws and add new ones to your statute book. See beyond your current limits and realise your full potential as a son. We will be engaging heaven together and seeking to receive all God has for us – revelation, transformation and empowering – and to step into the fullness of our identity, inheritance and authority as sons of the King so that we can fulfil our eternal destiny. There will be teaching and activations relating to the topics listed above, and if you attend in person, plenty of opportunity to meet and dialogue with others on this journey, including Mike Parsons and other members of Freedom Church locally as well as other conference delegates. For those coming in person, the conference begins with registration from 6.30pm on the Thursday evening. The first session starts at 7.30pm on Thursday. The conference continues all day Friday and Saturday, concluding with the evening session on the Saturday. You are welcome to join Freedom Church for our regular 10.30am meeting on the Sunday morning following the event. Tickets £65.oo (GBP) (including Eventbrite booking fee). Click here to purchase tickets to attend in person (includes access to recordings afterwards). This event will also be livestreamed. The cost of the livestream for the ‘Sons Invested and Enthroned’ conference is £30.00 (GBP). Click here to order the livestream (includes access to recordings afterwards). The cost of the recordings is £36 [GBP] inc VAT. Check out the other events in this series. Want to go deeper, higher? Recordings of this event are now available. Do you want to go deeper? Deeper into intimacy with God, deeper into God Himself, deeper into the Truth (Jesus), deeper into revelation? Do you want to go higher? Higher into the creative light realms, into the heart and mind of God outside of time and space, to engage with who He created you to be? Then join us from March 8th to 10th, either in person or via the livestream, for Engaging The Father, the first of our Sons Arise! conferences for 2018. Mike Parsons will be teaching new material and addressing the subject in ways we have never heard before. In addition to the teaching sessions, there will also be time set aside for us to encounter the Father for ourselves. Topics likely to include: Restoration of fatherhood and sonship – Call to the Joshua Generation – Accessing the fire stones of destiny – Engaging the Ya Sod, the Father’s heart in the what was (eternity) – Standing in the 4 faces of God – Operating in the Order of Melchizedek. This event will also be livestreamed. The cost of the livestream for the ‘Engaging The Father’ conference is £30 GBP. This includes continued access to the video recordings afterwards, so if the timings don’t suit you, you can play any sessions you miss at your own convenience. Downloadable video, audio and PDF files will be added later – all included in the livestream price. Click here to order the livestream/recordings. Author Freedom ARCPosted on Monday 29 January 2018 Thursday 31 January 2019 Format AsideCategories Sons Arise!Tags conference, Engaging The Father, eternity, eventbrite, livestream, Mike Parsons, Sons Arise!, Ya Sod1 Comment on Want to go deeper, higher? Recordings of all Sons Arise! events are now available. The Father is calling forth men and women to be revealed as His mature sons on the Earth. Sign up today for Sons Arise! – a series of conferences and intensives with Mike Parsons to be held at the Freedom Centre, Barnstaple, UK. At these events we will be engaging heaven together and seeking to receive all He has for us – revelation, transformation and empowering – and to step into the fullness of our identity, inheritance and authority as sons of the King so that we can fulfil our eternal destiny. In addition to 3 conferences we are also planning to host 3 events we have called ‘intensives’ – these will be limited to around 20 participants and will not be teaching-intensive but very much encounter-intensive. Sessions at all events will include teaching and activations led by Mike Parsons and others from the ekklesia at Freedom. The Restoration of All Things intensive. Join Nancy Coen, Justin Paul Abraham, Lindy Strong and Mike Parsons live online from 4th – 8th June 2019 direct from the Freedom Centre, Barnstaple, UK. The cost is (equivalent to around $105 USD) for the whole event. Engage God through Jesus (the Way, Truth and Life) in the realms of heaven and within your own spirit and heart; and take up your responsibility as a mature son [daughter] in God’s kingdom. *Technology permitting: automated process on completion of online registration form and payment plan setup. Terms and conditions apply. My Journey Beyond Beyond is Mike Parsons’ autobiographical record of deep calling to deep, the pursuit of intimacy with God. This is a book for the Joshua Generation, not only to read but also to pass on to others to introduce them to the concept of operating in the realms of heaven as sons and heirs together with Jesus. Get it today! My Journey Beyond Beyond is available from all good online booksellers and high street bookstores worldwide. Click here to find it on your local Amazon site – or search ‘My Journey Beyond Beyond‘. Free to watch on our website: the first session of Expanding our Reality, our final Sons Arise! event of 2018. Toxic emotions are often the source of emotional pain, relational difficulties, and physical illness. By releasing toxic emotions you will come into a place of rest for your soul and health for your body. Freedom Apostolic Resource Centre, Barnstaple, UK. COPYRIGHT ©2019 FREEDOM APOSTOLIC MINISTRIES LTD.
All original material on this blog is subject to copyright. All rights reserved. Freedom Apostolic Resources, Freedom Apostolic Resource Centre, FreedomARC and Freedom ARC are trading names of Freedom Apostolic Ministries Ltd., a not-for-profit company registered in England. Company number 10359676. Registered office: Freedom Centre, 1 Howard Avenue, Barnstaple EX32 8QA, UK.